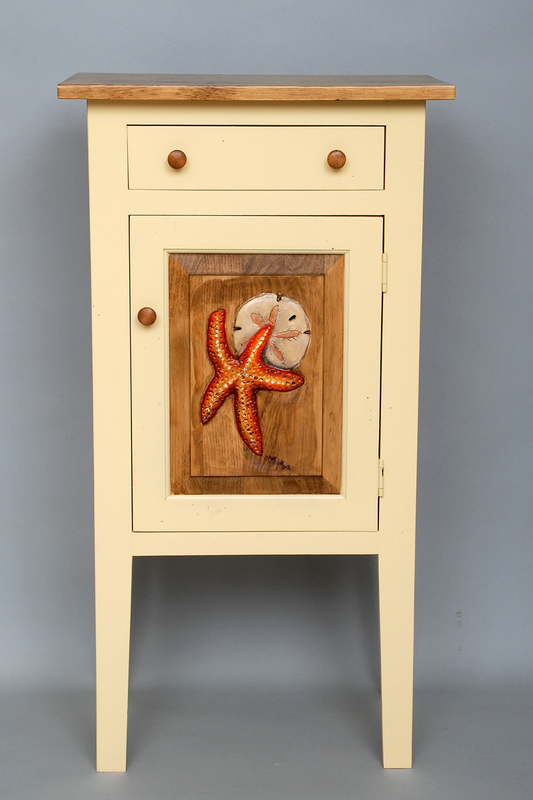 The Charleston Cabinet with Starfish Carving adds coastal style to your room with beautiful carving of an orange starfish and a white sand dollar. Ships from the manufacturer. Allow 6 to 8 weeks. Cannot express ship this beach style furniture. For further items, we invite you to take the time to browse our extensive range of beach style cabinets at Bella Coastal Decor today.